This is Part II of a two-part interview. Christopher Tyng is a songwriter, composer and producer and the Founder of the Grow Music Project, a platform for independent artists and bands that allows them to record and produce their music at no cost to them, with no strings attached. Throughout his career, Chris has worked with many successful artists and has written music and songs for successful movies and TV series in Hollywood for the past 20 years. He has been a key member of the music team and the sole composer of the music scores on the television shows The O.C., Futurama, Rescue Me, Covert Affairs, Suits and many others. He has helped define and shape the sound and signature music styles for modern music-aware series, which has helped him introduce and boost the careers of many bands and artists. His years of experience producing everything from large live orchestras, to punk-rock, reggae, folk, neo-soul, electronica and everything in between have allowed him to fine-tune a unique voice, thematic sensibility and a wide range of sonic production techniques with which to create memorable songs, movie and television soundtracks and produce new artists while helping them develop and refine their own mission and identity. In this portion of the interview, Chris discussed the realities and challenges of the DIY movement and shared information about how artists and bands can get involved with the Grow Music Project. I knew “DIY” as a condition of last resort, and it’s now a condition most of us find ourselves in. Then there’s the other side of the equation, which is, I think you have to go out and try to do everything yourself and fail at some of the tasks, so you are somewhat qualified to hire the person to do the jobs you cannot handle, so you don’t get ripped off. Technology has created enormous opportunity. A lot of artists approach me looking for a manager and other types of help “making it” or “getting to the next level” in the music industry. And it makes me think back to when I was starting my own business. I would’ve loved to have a manager, agent and a cash infusion, too, but I sure wasn’t holding my breath waiting on any of these things. And that’s the wake-up call for so many artists. We’re in a really interesting time. I could expand this to a much larger idea: I think we’re in a place where there is a sense of entitlement that creates a bit of a disconnect between what you need to do for yourself and what you want to do for yourself. What you are referring to is really a wake-up call for a lot of artists – even those that are really good. These artists just have such a long road ahead of them before they’re even ready to take advantage of the talent they innately already have. It’s sad that this will be such a roadblock for people that actually have music other people will enjoy. It is the playing field, though. It is. In the traditional A&R model, you would have label representatives who would hear about a band and know that band could draw. They would look at very specific characteristics of the band and ask questions: Can the band hold the attention of the crowd? Does the band know how to put on a stage show? Are their songs good? When I met them after the show, did they seem like they were going to be pleasant, hard-working people that I actually want to work with? And of course, there were so many other things that added up to whether or not the band was going to be a band the label wanted to sign. Yes. And A&R representatives also wanted to know the band was pushing their train out of their own station. Yes. It’s exactly like that. And at that point, you’ve earned the right to actually prove what you’re made of. But it isn’t a time to sit back and start shopping for private jets. I think for a long time, a lot of musicians have thought, “Once we get our record deal, we’re good.” But really, getting a record deal just means you are off the impossibly-long list and onto the somewhat-long list of which only the very top percentage will move onto greater success. We could obviously go back and forth on this topic for a long time. I would love to hear more about what you’re doing with Grow Music. All that we’ve talked about so far lays the groundwork for so much of what Grow Music is really about. Because, first of all, my own journey in the music industry – how I went from someone who loved to write music to someone who gets paid to write music – was about learning a lot of these lessons. I have learned that being successful in the music industry means so much more than whether or not you’re a good musician. Even though I didn’t come up in the record company environment, there are a lot of parallels between what happens in that sector and what happens in my sector of the music business. You have to know how to promote yourself and how to refine what you do and make yourself sellable. Grow Music came out of the idea that there are musicians out there that need support. When I was first getting started, I had some people that generously offered up their support, and I just thought it would be really cool to return the favor. The project is really a launch pad for indie bands. We identify bands that are pushing really hard to get their own train on the track, but lack the resources to get into a real studio and work with a real production team. We pick them through a submissions process, then invite them to come out and have a little bit of that artist development experience in their career. We pick one song rather than 10. We choose the song that we think is the strongest and can become their calling card. Then we bring them out to the studio here, which is a cool creative oasis. And we spend three days working on that one song. We fully record it and actually have a film crew that comes out and records the birth of the song. And we make a video teaser for them and their song. We jokingly call it our “Baby Owl Program,” because we give artists the tools to fly, and then we push them out of the nest and say, “Go fly.” We don’t sign them to a publishing deal, and we don’t take anything from them at all. It’s entirely a pay-it-forward situation. It’s turned out to be a reset button for these artists in a way we didn’t expect. We put our first round of artists in the studio on September 1st, so we already have witnessed one stage of the process. In addition to elevating these songs to a place where they are going to be ready for licensing, artists get to think about how they are going to refine their sets, their careers and their music using whatever information we can impart to them over the course of three days. People also get the opportunity to take a break from the slog of trying to be indie artists. Someone offers to take care of them for three days, feed them and allow them to focus on their creativity or how they are going to pay for it. And they don’t have to worry about time running out and whether they have the money to continue recording. It puts them in a place where they can just try to take a song and make it great. I think what’s happened is that people come out of the other side of this saying, “I can do this. I was really starting to doubt whether I could survive this.” But artists come out of this experience feeling refreshed, recharged and able to go fly. And here’s the cynical musician question: Sounds great, but what’s in it for you? It’s been really fun for me to answer that question. What’s in it for us is that we get to support some music that we really believe in and be music fans again. We get to take our music business hats off for a change. Most of us got involved in music originally because it’s something that’s soulful and attracts us for reasons beyond how much money it will make us. And very rarely when you have a music career do you ever get to separate the business side from the real reason you got into music. The guilty pleasure is, I actually get to become a fan of these bands and hang out with them for three days and not worry about what it’s doing for me. It’s actually really refreshing for me to do something that feels great. Because, it really does feel great to support music you believe in. It helps reconnect me with my own love of music. That makes a lot of sense. And it’s quite an undertaking. I think you have to go to the larger issue, which is, if you go back to all the things we were talking about regarding the state of the music business, you can’t fix it for those who can’t take charge of their own careers. We obviously can’t open up our studio and spend time on every single musician that wants to get into a real recording studio. But we did identify that there are artists that really deserve this opportunity, but it just wasn’t there. And how do people go about applying for this program? 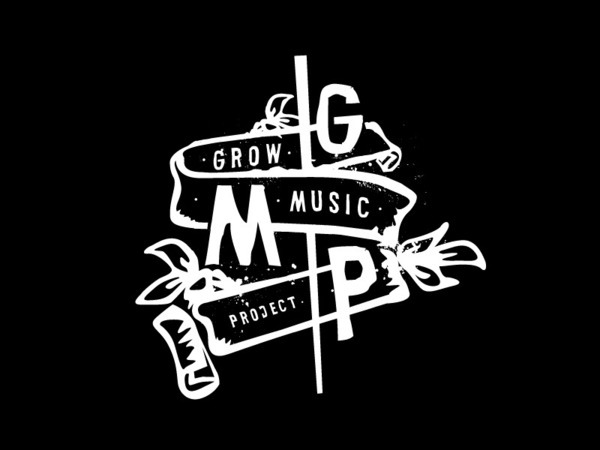 It’s www.growmusicproject.com. It’s currently embedded into my own website, but we’ll probably split it into something separate now that it’s grown into something much larger than when it started. The submissions process involves a relatively simple questionnaire that gets us all the information we need, so we can learn about the artist. There’s a way to provide links or upload mp3s so we can hear what they’re doing at the moment. And then we have a team that curates and makes the final decision. If you go to the site, there’s an online submissions form. We’re just about to open up our third round of submissions. Our second round of artists went into the studio on November 15.